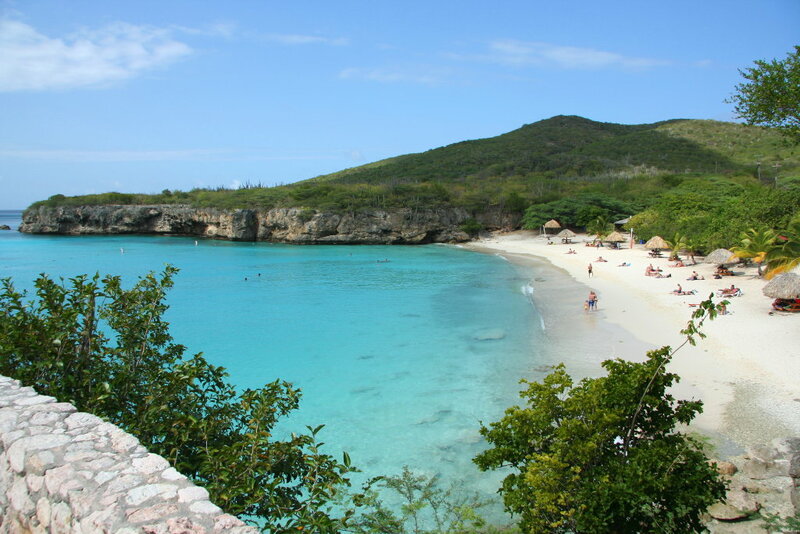 I recently got back from a work trip to the beautiful Caribbean island of Curacao. The work was fairly straightforward, and with the flight schedule that was available, it left a fair amount of time to explore this quaint, very Dutch island. Curacao did not fit my stereotype of a Caribbean island. This is probably because it actually has industry other than tourism; the entire island felt more "real" than purely vacation destinations. That said, there were many beaches loaded with many (mostly Dutch) tourists enjoying the sun. It would have been pretty much impossible to get around without a car, as the taxis are very expensive and inconvenient. The car rentals are cheap, in relative terms. Of course, driving on this island took some getting used to. There are hardly any street signs, and the lay of the land forces roads in many odd directions. Lots of very fun roundabouts. Eventually, I got very used to driving my little Hyundai i10 and started enjoying it. It was sort of like driving in Europe, but with less rules. On my day off, I got to explore the less developed beaches of the West point of the island, and even managed to get a couple of dives in. Now for a couple of oddities... in the evenings I wanted to hang out in the old port and touristy areas. This did not pan out well since just about everything shuts down at six! When I needed to fill up the car before returning it, I spent an hour looking for a gas station that would take credit card. They don't! Finally, while this did not annoy me in any way, I did not come across a single bottled water in my entire time there. Many things could be written about Curacao. It is a vibrant place. I hope to go there again in the future and explore more of the historic aspects. On my way home, I transferred through Sint Maarten. That airport with the beach behind it is properly nuts!